This post may contain affiliate links. If you make a purchase through any of my links I may earn a commission. See my full disclosure here. 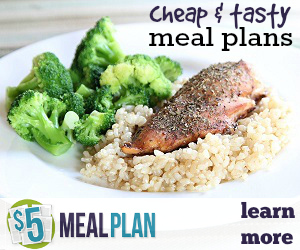 If you're struggling with dinner or dinner is the most stressful part of the day then you should check out $5 Meal Plan. Stop stressing out about what to make every night and grab a FREE TRIAL of $5 Meal Plan. and start freeing up time for what you really want to be doing! Have you heard the saying money doesn’t grow on trees? My grandmother used to say that to me all the time growing up when we wanted something. If you want your kids to learn how to save money they need to be taught that “money doesn’t grow on trees” and that money is earned with hard work and everything you buy you are working for. If you want to teach your kids to save money then letting them get involved to some degree in purchasing decisions is a great way. You heard the saying if you give a man a fish he will eat for a day if you teach him how to fish he will eat for a lifetime? Well, that goes for saving money and living frugally as well. We can model frugal behavior for our children all we want but until we get them involved and show them the benefits of saving money and living frugally AND give them the tools they need than they really won’t fully get it. They will still get bombarded by commercials and advertisements everywhere they go. They will still see other children with Jordans and cell phones at school and on playdates. They will still see displays at stores and so on. 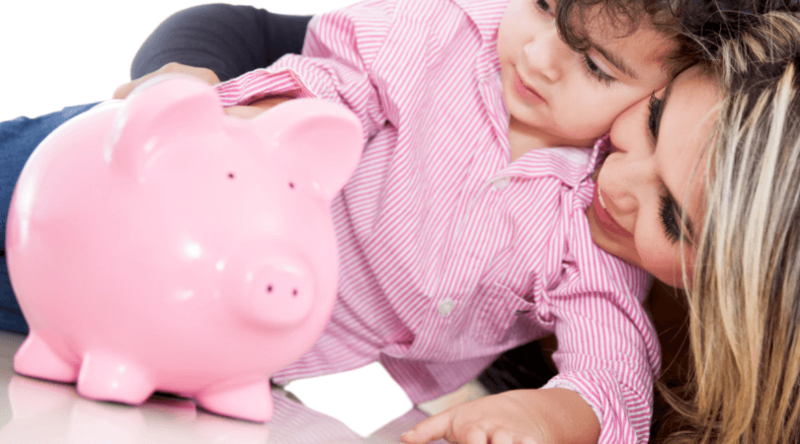 A great life skill to teach your kids is how to save money! The things you teach them about money will stay with them for life, so it’s important to teach them all that you can at an age-appropriate level, the younger the better. But how can we teach them at a young age? You may also like: When Should You Start Teaching Kids About Money? One fun and easy way to do this is by teaching them to use coupons. Yes, coupons! Coupons are a great way to teach children to save money because you can get them involved at a very young age and make it into a game. It’s a simple and fun way to get them involved in the family budget and get them to think more frugally. It’s something you can easily start doing this week and integrate into your daily life. If you’re using coupons already than all you have to do is get your kids involved in the process. 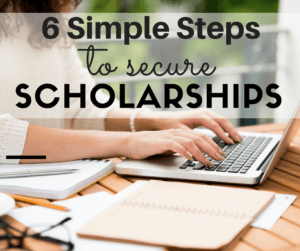 I have some tips for you below to help make it as educational as possible! 1. Let your kids help you sort and clip coupons each week. Get them used to looking in the mail and inside newspapers for coupons and coupon inserts. Let them clip coupons with you (if they are good with scissors). With each new coupon you and your child cuts, explain to them what that specific coupon does and how much it saves you. Clipping coupons will take some time so it’s a great chance to bond and talk about saving money and catch up on each others day. 2. Let your kids help you organize your coupons. Let them help you sort the coupons into your coupon binder or coupon organizer. Have them categorize the coupons into areas like household, beauty, laundry etc so that you all can find them easily later. This is a great way to get them learning and keep them focused. 3. Make saving money fun! Let your child help you match up coupons to your list. This is a great time to teach them that just because you have a coupon for something doesn’t mean you buy that item. Teach them the purpose of using coupons is to save money on the things you buy already. If they are wanting a particular snack at the store have them look for a coupon and if they find one let them know that if that item is on sale and the coupon brings it down to a reasonable price then they can get it as a bonus for being so helpful. 4. Allow your kids to help at the store. Take all of the coupons you have clipped to the store with you. Then, with each new purchase and addition to your cart, allow your child to find the corresponding coupon to the item. One reason you want to bring all your coupons is that if you find yourself wanting to buy something at the store that wasn’t on the list then you can have your child look through the coupons (since they are organized) and see if there is a coupon for that item. 5. Let your kids see the savings. When your items are placed on the conveyor belt to be scanned and checked out, allow your child to hand the cashier the coupons after first seeing what the total is beforehand. This will teach them that the use of coupons should be part of their shopping routine all the time and they will see how much they saved in the end. 6. Have a savings jar and share the savings with them. Write down the total amount of money you saved per visit by using coupons and then put that money or a percentage of it into a savings jar. To make it even more fun for your child you can offer to give them half of the savings at the end of the month for helping. This will help to show your kids just how much money that the use of coupons can save and how rewarding saving money actually is! Another idea is to set a family goal like a trip to Disney and use the savings jar as motivation. The more you can save the faster you get to Disney! Teaching the value of saving money all starts at a young age. Couponing is one of the first things kids should learn because it’s so easy and is the foundation for all the other money-saving tips down the road. Do your kids help you with your shopping? What are you doing currently to teach them about saving money? Leave a comment and let me know! 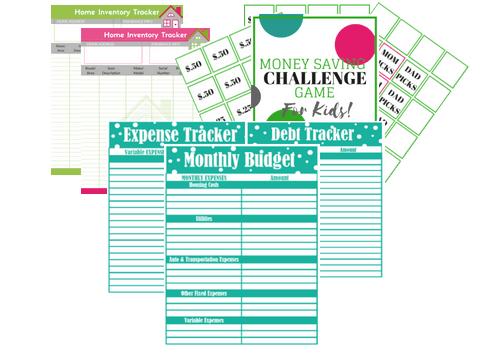 Free Money Saving Challenge Printables for Kids! 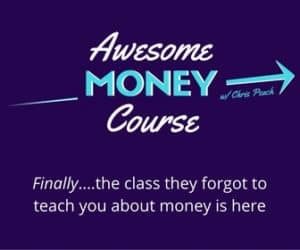 Plus a Free Kids and Money E-Course delivered right to your inbox! Subscribe to My List to Get Access to the FREEBIE LIBRARY! Check Out Our Top Posts! How to Print Free for Life! How to Wash Dry Clean Only Clothes at Home! The Best Podcasts about Money you Should Listen to Now! Tips for Organizing a Closet On a Budget! CHECK OUT MY FAVORITE RESOURCES BELOW! Check out my most recent posts! 9 Tax Scams to Be Aware Of And How to Avoid Them! Cheaper Alternatives to Audible You Won’t Believe! How to Negotiate the Best Price on Your Next Vehicle! Many of my posts contain affiliate links. If you click on an affiliate link and buy something, I may receive a very small commission. I am also a participant in the Amazon Services LLC Associates Program, an affiliate advertising program designed to provide a means for sites to earn advertising fees by advertising and linking to Amazon .com. Get Access to My Freebie Library Filled with Printables and Money Saving Resources!GIVE ME ACCESS!